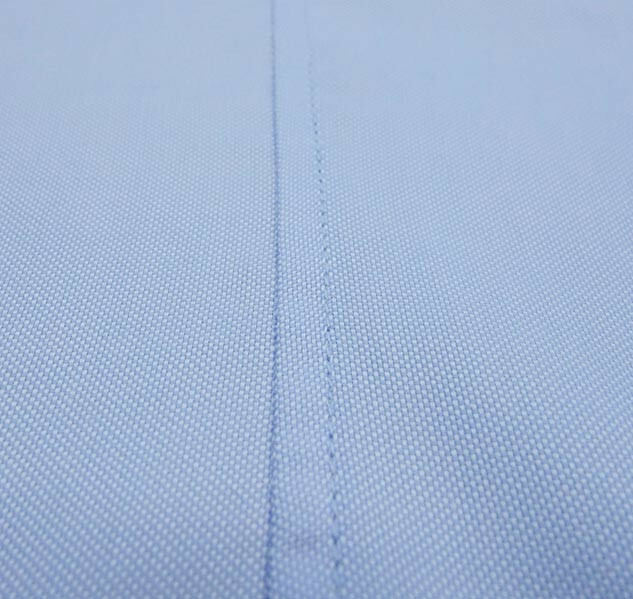 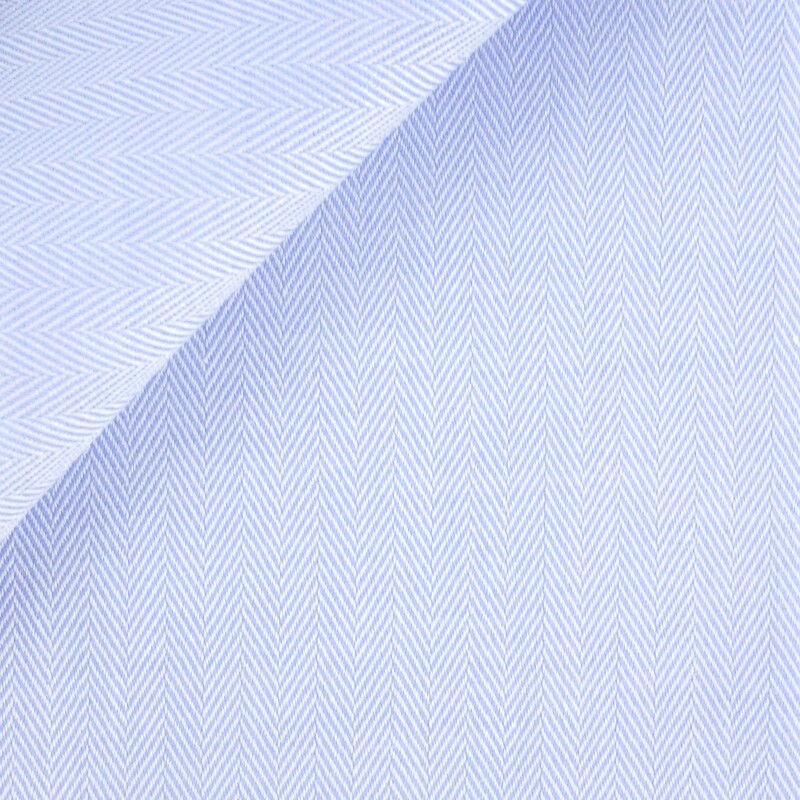 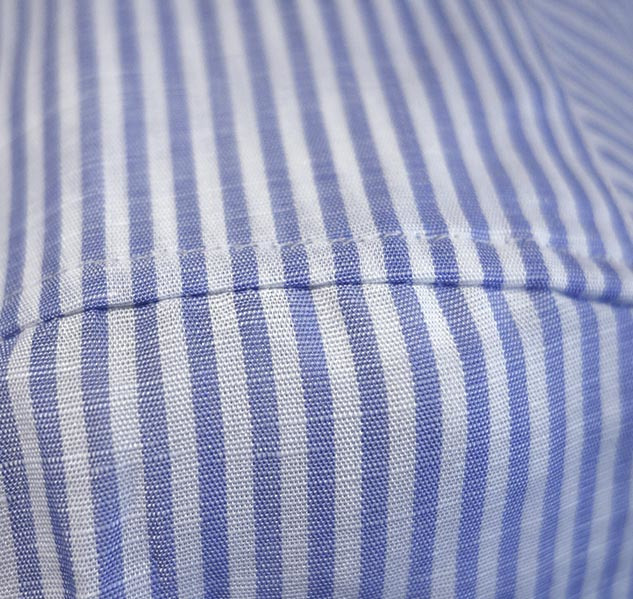 Two-ply, Thomas Mason fabric with sky-blue herringbone pattern. 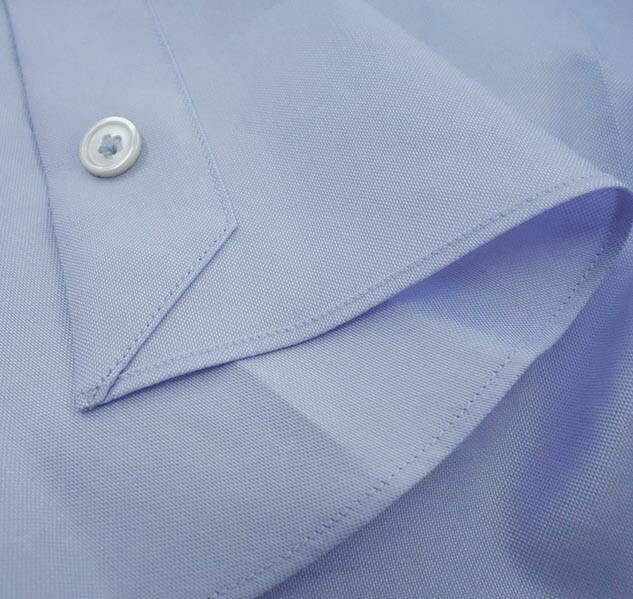 This is a classic and one of our best sellers. 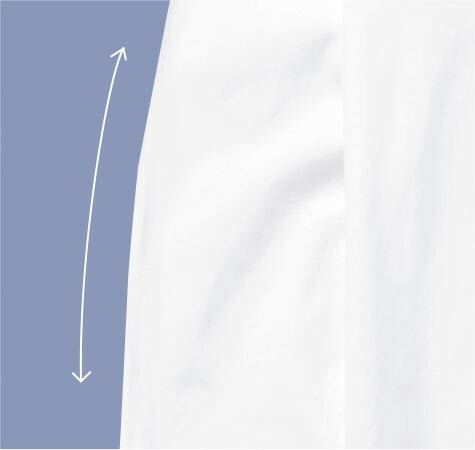 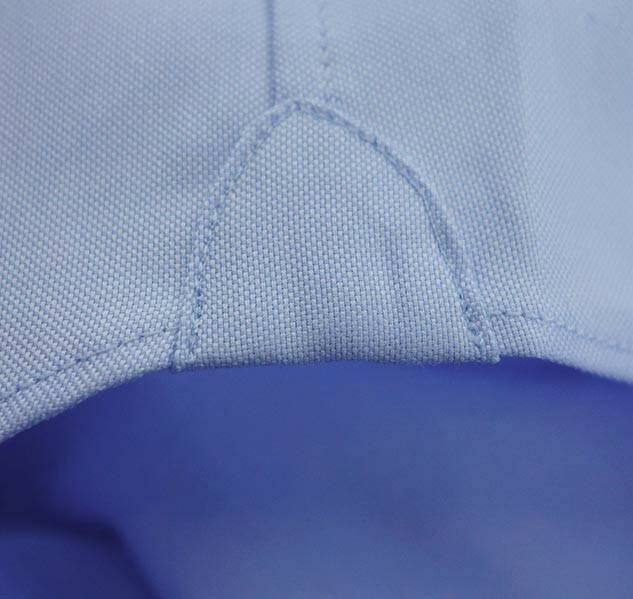 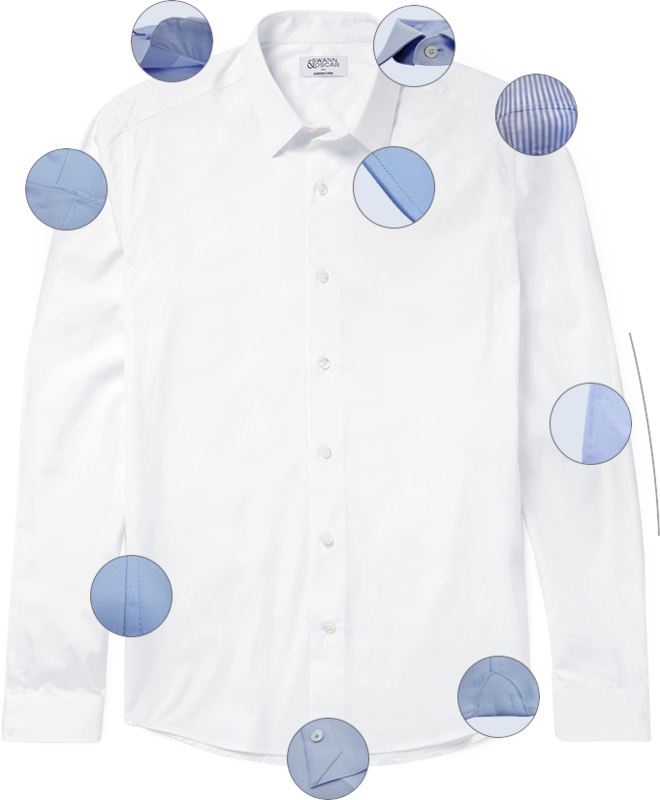 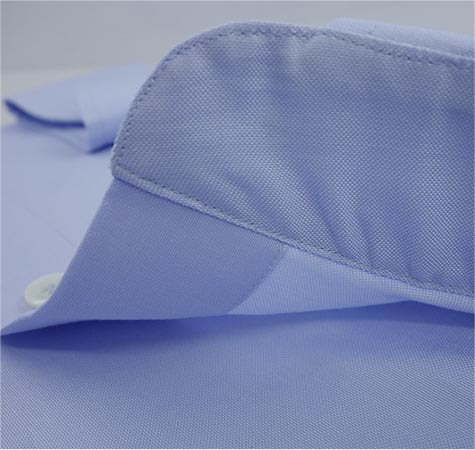 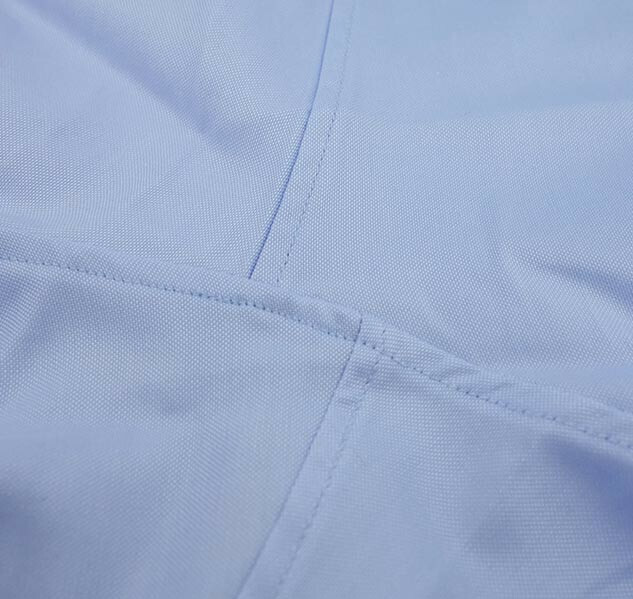 The fabric is very comfortable and maintains its shape very well.